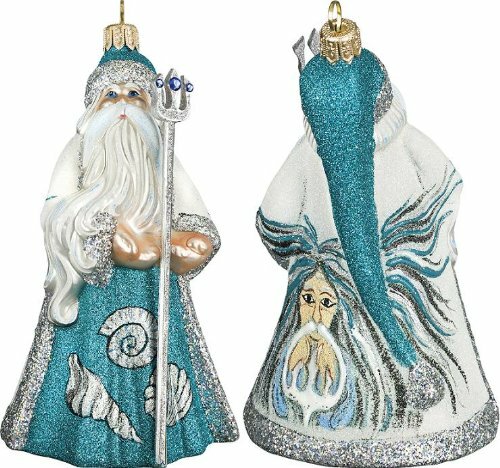 Glitterazzi Neptune Santa Glass Christmas Ornament by Joy To The World Collectibles – 4.5″H. 4.5″H. – The Neptune Santa ornament is mouth blown and handpainted by the finest European artisans in Poland. All paints and glitters are custom mixed & created to give Joy To The World designs a unique look and color pallet. This Santa ornament comes packaged in a Joy to The World Collectibles black presentation box. Ornament comes packaged in a black presentation box.